In the words of a (slightly adapted) ancient Chinese curse and the many related press releases from last week, it looks like ‘(PM) May will live in interesting times’. Adam Smith Inst: Queen's Speech - A missed opportunity? Open Europe: What does the Queen’s Speech mean for Brexit? Portsmouth City Council (PCC) urgently needed to replace their old and limiting mobile devices whilst overhauling their security systems to comply with the government’s National Cyber Security Centre (NCSC formerly CESG), which independently evaluates and certifies IT security features. Following 18 months of research, devices which had been specially configured with Samsung Secure Mobility Suite for Government to provide the highest levels of security for government usage fully complying with NCSC guidance, came out on top. Click here to access this latest case study. With all the UK’s Fire Safety experts, Chartered Building Engineers, Architects, Fire Service investigators, Materials Scientists, Housing Charities & Housing Associations, etc. available to provide expert & informative opinions on the Grenfell Tower tragedy, is it really true that the best the BBC2 ‘Newsnight’ programme could come up with as a proposed ‘guest’ recently was Labour-supporting, ‘media personality’ Lily Allen? Frankly, I don’t really care why she was ‘dropped’ from the schedule. The big question is why she was even selected in the first place! After all, Newsnight is still (one supposes) meant to be a News-Based programme, that provides reasoned, informative & reflective debate on current topics/stories. Not (unless they are a politician) politically biased ‘ramblings’ (Daily Telegraph: Lily Allen pulled from Newsnight after controversial Grenfell Tower ...). In addition, one does wonder how much their ‘guests’ get paid to provide an irrelevant & biased ‘contribution’! The King’s Fund, Comic Relief, and the Big Lottery Fund have opened the application process for a ‘unique support programme enabling charity leaders to help each other through sharing expertise and developing skills’. Following a successful pilot, they have agreed to support the roll-out of the Cascading Leadership programme so that more charities can benefit. The programme is designed to improve access to support & development opportunities for charity & voluntary sector leaders. There are 80 places initially available on the programme, which is free to attend and managed by The King’s Fund. Charities applying for places, worth up to an estimated £3,000, must show how their work improves health & wellbeing. The programme’s distinctive approach involves charity leaders providing support to less-experienced peers, meaning support comes from those who understand and are familiar with the sector’s challenges & potential. Leadership experts at TKF also provide training & guidance to develop the skills & capabilities of both those receiving and providing the support. Published by the Institute for Government, Improving the management of digital government says that appointing a minister responsible for digital government would help drive change & advance standards. Digital improvements would make government cheaper, more effective and more secure. The report points to the recent NHS cyber-attack as an example of the fragility in some systems being used in the public sector. The report also warns that the Government Digital Service (GDS), the Cabinet Office unit responsible for leading digital transformation of government, faces resistance from many corners of Whitehall. Could online identity verification help solve the health tourism issue? The head of NHS England, Simon Stevens, has announced 13 new areas are now live & ready to offer a leading NHS prevention programme to patients identified at risk of developing Type 2 diabetes. Wave 2 of the Healthier You NHS Diabetes Prevention Programme is part of a wider package of measures to support people with diabetes and those on the cusp of it, to stay fit, well and prevent further deterioration. The programme was officially launched last year with 27 areas covering 26m people – almost half of the country. The latest figures reveal the programme is making good progress, with just under 50,000 people referred in Wave 1 and more than 18,000 on the programme at the end of April. This exceeds the original target set in the NHS Mandate of 10,000 referrals during 2017/18. What will we see by the NHS’s 100th ‘Birthday’? A state of the art proton beam therapy machine, the ‘cyclotron’, has been installed at the specialist cancer hospital The Christie in Manchester. Proton beam therapy has been offered overseas to NHS patients who are eligible for treatment in England since 2008 in a programme that has to date supported approximately 1,000 patients. Together with the DH, NHS England is funding the development of two world class centres in Manchester and London for NHS patients to be treated in the UK. Proton beam therapy is a specialist form of radiotherapy that targets certain cancers very precisely, increasing success rates & reducing side-effects. It targets tumours with less damage to surrounding healthy tissue and is particularly appropriate for certain cancers in children who are at risk of lasting damage to organs that are still growing. The first patients are due to be treated from summer 2018, with UCL Hospitals NHS Foundation Trust following in summer 2020. When complete they will each treat up to 750 patients every year. Until then, eligible NHS patients will continue to be funded to travel overseas for treatment with NHS England’s established partner centres in America and Switzerland. Ofsted has issued its annual online ‘point-in-time’ questionnaires to children’s social services. The questionnaires are about children’s homes, fostering services, adoption agencies, adoption support agencies and residential family centres. Ofsted inspectors want to hear what children & young people, staff, social workers and other professionals have to say about these services. Their responses will help inform future inspections. Over 20m people in the UK (40%) plan to get out into the great outdoors for a picnic this summer, but al fresco dining doesn’t come without worry for some. That’s according to a snapshot survey* from the FSA which shows that 23% of people are concerned about picnic food hygiene. With more than 1m cases of food poisoning every year in the UK and cases of food poisoning from Campylobacter, E. coli, Listeria and Salmonella rising in the summer months, they are right to be concerned. To help everyone enjoy their summer picnics without worry the FSA has provided some easy tips to keep your family safe. The Scottish Parliament has voted to remove the 3-year limit on survivors of childhood abuse seeking civil damages in court. The Limitation (Childhood Abuse) (Scotland) Bill will mean that cases arising from childhood abuse on or after 26 September 1964 will no longer face the barrier of the limitation period. Public Health England is urging gay & bisexual men to take extra precautions against infection of hepatitis A, as cases are increasingly reported in the community. Those attending World Pride in Madrid are encouraged to visit their genitourinary medicine (GUM) clinic to request the vaccine. Those not travelling to World Pride are advised to ask about vaccination at their next sexual health check-up. It’s bad enough with just ‘Westminster’, but if we also get religion in the mix …..! While much focus has been paid to the divisions in the Conservative Party which have re-emerged since the shock election result, similar divisions & confusion are evident on the Labour front bench, indicative of how the election has not healed the discord which was evident in the Article 50 vote where a fifth of Labour MPs defied a three-line whip. The Governing Council of the ECB has decided to develop a new service for the settlement of instant payments. The new service, TARGET instant payment settlement (TIPS), will enable citizens & firms to transfer money between each other in real time and will be available around the clock, 365 days a year. Guidance on how to check latest recalls, register your appliance and who to contact for more information on product safety. 49% of people across the UK now consider themselves ‘outdoor enthusiasts’ according to new research released by the Met Office. However, many are still getting caught out by the weather, leading to potentially dangerous situations. When asked about their approach to checking the weather, a savvy 38% of outdoor enthusiasts use a weather forecast which is specifically tailored to the activity they are taking part in. This is all-important when taking part in any activity in hilly or mountainous regions – as weather conditions can vary dramatically at different altitudes. For example, temperatures can drop by several degrees Celsius with just a 100m rise in elevation. One wonders what MPs will be feeling this week! NCSC guidance following the renewed press interest in the historic hack of LinkedIn. The HEFCE has published the first set of ratings for the Teaching Excellence Framework (TEF). It has revealed that the majority of UK universities are offering quality teaching to their students - 59 providers were rated ‘gold’, 116 rated ‘silver’ and 56 rated ‘bronze’. The ratings will help students decide which university or college to apply to and encourage teaching & learning excellence across the UK. 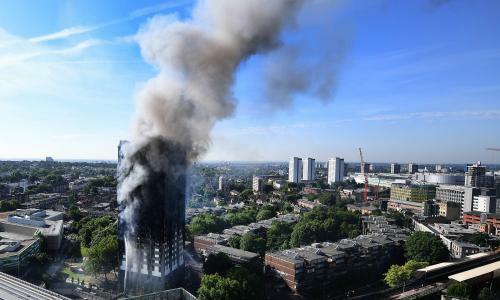 Since the catastrophic fire at Grenfell Tower there has been mounting criticism of the government’s response and support for survivors, which has appeared haphazard, poorly coordinated and singularly lacking in leadership, writes social care consultant Melanie Henwood, who compares the response to that of the 7/7 London bombings. 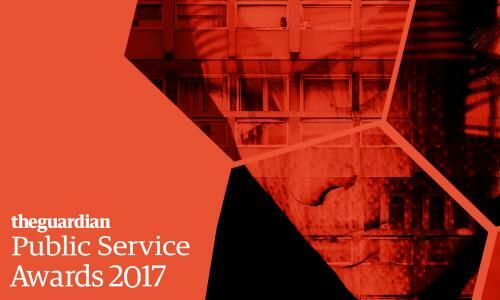 Now is the time to champion innovation in local government - last Tuesday The Guardian launched the 2017 Public Service Awards, with entries now open in 10 categories. For more information on how to enter, click here. Building control departments in councils have been left toothless and eviscerated while the authority of fire officers and architects has been weakened in favour of profit. Look where that has got us.